Ask any course designer to name their biggest challenges, and chances are you’ll hear more than one say, “Ugh, clip art!” It’s true, clip art is generally not the most elegant design element. But, when you break it apart, the pieces actually hold a world of opportunity for course designers. 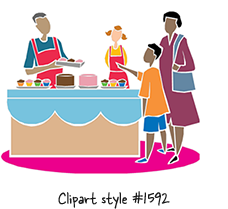 This week, let’s embrace clip art’s constraints and leverage its parts to create an e-learning template. 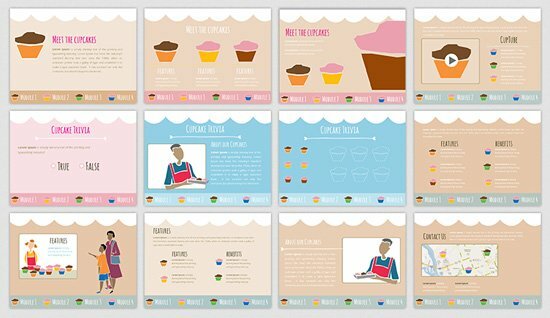 Tom has a great post on using clip art to create a consistent e-learning template. The key is to focus on the relevant pieces of the clip art and not the whole image. Objective: Create one or more e-learning template slides using free clip art objects. 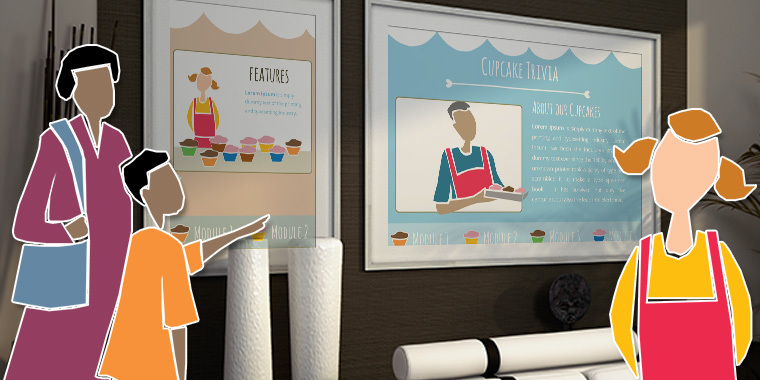 Tools: You can use Articulate Storyline, Articulate Studio, Word, or PowerPoint to create your template. Notes: Please include the clip art file you used for inspiration. Forums: Create your own thread in our E-Learning Heroes forums and share a link to your published source file. You can also attach your project files if you’d like some help or feedback. Personal blog: Post your published example on your own blog and place a link in the comments below. Montse Anderson shared an example of how a text-heavy table can be converted into a multi-question knowledge check. David Anderson shared an example he re-worked for a blog reader. The example featured an introductory paragraph and three bullet points. Quickly and easily, he converted the bullet points to a drag-and-drop knowledge check. Nicole Legault jumped in to show how easy it is to convert static text using Quizmaker ‘13. Be sure to check out Nicole’s blog post describing how she put her demo together. Have a clipARTISTIC week, E-Learning Heroes! @David Lindenberg... I REALLY like your template, mate. Slick, lots of opportunities to add extra info and interactivity. Very nice, indeed. Nice work, Montse, David, and Nicole.